I’m busy preparing my Retrospective View for 1968, but I haven’t read one of the most significant novels from the year (Stand on Zanzibar); so, while I’m reading it (it might take me a couple of weeks), I’m going to re-post a few reviews I made on my other blog (I suppose I’m being rather lazy, but I’ve posted quite a few reviews there that are ‘speculative’ in nature). Haruki Murakami has become one of my favorite authors; he isn’t for everyone’s tastes, but The Wind-Up Bird Chronicle feels like a book he was working toward for years. Most of his usual themes are present, as is his ubiquitous protagonist-type; the lonely, thirty-something male, who allows outside influences to guide him through life. In this novel, Toru Okada loses his job, his cat, and his wife; he searches for the latter two, and opens his world to an extraordinary array of characters, stories, and situations. There are several threads within the frame of the narrative, some of which remain unresolved to the satisfaction of some reviewers; however, I found the novel eminently satisfying. I’ve encountered many complaints about extensive cuts in the translation from Japanese to English, and counter-claims (some from the translators) that the Japanese edition was poorly edited and required ‘trimming.’ I can’t read Japanese, so I can’t compare the editions; however, I thoroughly enjoyed the English version and I suspect that many of the problems that readers had with ‘discontinuity’ were not a result of the translation; rather, the sense of discontinuity is a trademark of Haruki Murakami’s surreal craft. There are frustrating sections, and disturbing scenes and moods, but there is a prevailing atmosphere of hope within the beat of its metaphysical heart. 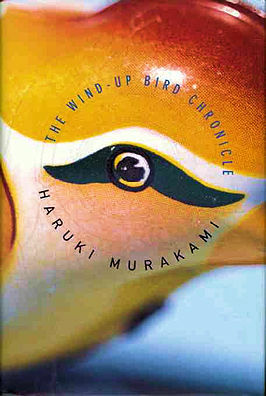 The Wind-Up Bird Chronicle won the prestigious Yomiuri Prize (1995) for Literature: the recipient receives a million Japanese yen and an inkstone (the prize was awarded by Oe Kenzaburo, one of Murakami’s harshest critics). 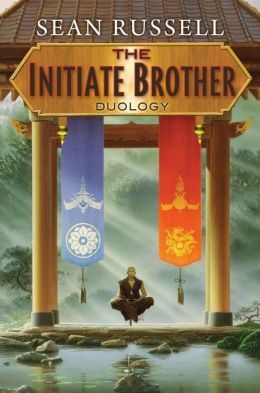 The Initiate Brother Duology, by Sean Russell, was originally published as two separate books, The Initiate Brother (1991) and Gatherer of Clouds (1992), but is really one large, rambling novel, and I’m glad I read it as one volume (published in July, 2013), because the first half of the duology (The Initiate Brother) ends rather abruptly. It was the cover that first attracted my attention; and, although you cannot tell a book by its cover, I recalled reading a trilogy by Sean Russell years ago and finding it satisfyingly different than the norm and decided to give the Initiate Brother a try. The ‘duology’ is marketed as fantasy, but the only fantastical element is the concept of chi and its development and use by religious martial arts practitioners; in particular, by one of the main characters, Shuyun. An interesting forward by the author is included with the edition I read, but I disagree with his belief that this duology was the first successful western Asian fantasy. I think he has either forgotten, or hasn’t heard of, the wonderful series by Barry Hughart, The Chronicles of Master Li and Number Ten Ox; the first book in Hughart’s series, The Bridge of Birds, won the World Fantasy Award (1985, best novel), which makes it fairly successful, I think. There are many characters in the story, but the core consists of Shuyun (a gifted Botahist monk), Lord Shonto Motoru (head of the ancient and powerful Shonto house), Motoru’s adopted daughter, Lady Nishima Fansian Shonto (the only remaining heir of the previous Emperor’s House), Lady Kitsura Omawara (Nishima’s cousin), Lord Komawara Samyamu (the young head of a once proud House), Akantsu II (the current Emperor, a paranoid ruler), General Jakku Katta (Commander of the Imperial Guard, the Black Tiger, a very ambitious man), and Katta Jakku’s brother, Colonel Jakku Tadamoto (a scholar and a fair man, but inappropriately loyal). The story is filled with political intrigue, which I found interesting, but I tire of the machinations of politics quite easily (surely a weakness in my character). Although much of the story revolves around a few of the characters, I never felt I knew them sufficiently; I suppose that for a genre novel the characterizations were sufficient, but I prefer more depth. The book is driven by plot; political differences between the Emperor, Lord Shonto, and the leaders of the Botahist Orders (both monks and nuns), set against the danger of the barbarians who plan, and execute, an invasion from the north. There is some inner turmoil within a few of the main characters, and there is a rumour spreading that someone in Wa has become enlightened. The author has included some poems that are meant to be works of high art, but I found it difficult to accept them as such; they are pleasant, and fit the mood of the story, but they are hardly the finely crafted works that would have graced the ancient kingdom he has created. The mood of the story is at times mesmerizing, but it moves at a slow pace. I was comfortable luxuriating in the story, but the tension never reaches a high level and difficulties are resolved with relative ease. The story, and particularly the ending, pleased my Buddhist sensibilities, but some may find the pace tedious, especially in the second half of the duology. The Prisoner, a British series, starring Patrick McGoohan (many times a murderer on Columbo). The Prisoner consisted of only seventeen episodes, but was a classic psycholigical drama that combined espionage and science fiction. The Invaders, a show that lasted two seasons and was about a man who accidentally discovers a clandestine alien invasion and sets out to foil their plots. The Andromeda Nebula (Туманность Андромеды), a film from the USSR, based on the novel by Ivan Yefremov. Bedazzled, an odd comedic retelling of the Faust myth, about a lonely man who is seduced by the devil, starring Peter Cook (as the devil), Dudley Moore, Raquel Welch, and Eleanor Bron. As if one movie wasn’t enough, Hollywood provided a remake in 2000, starring Brendan Fraser and Elizabeth Hurley. The Jewel in the Skull (Hawkmoon series, book 1), by Michael Moorcock: a classic sword-and-sorcery/good-versus-evil novel set in a far future Europe. This is a short, fast-paced novel that has no time for extraneous details like political exposition or detailed characterization. Rosemary’s Baby, by Ira Levin. This novel was the best-selling horror book of the 1960s and Roman Polanski adapted and directed a film version in 1968 that starred Mia Farrow (Ruth Gordon won an Oscar for Best Supporting Actress for her portrayal of Minnie Castevet). City of Illusions, by Ursula K. Le Guin. This is an early work by Le Guin, and I recently bought an edition that contains her first three novels; Rocannon’s World (1966), Planet of Exile (1966), and City of Illusion (1967). If you’re a fan of Le Guin, I’d recommend purchasing/reading the collection; but, if you’re new to her, I’d suggest The Dispossessed and the Left Hand of Darkness, both of which are worthy of multiple readings. In City of Illusion, the protagonist, Falk, is searching for his memory. He is a disoriented alien, roaming through a forest on a far-future Earth. The novel follows Falk as he travels, eventually rediscovers himself, and becomes a different individual when his memories flood back. It is an interesting novel that reveals the roots of Le Guin’s future brilliance. Thorns, by Robert Silverberg. 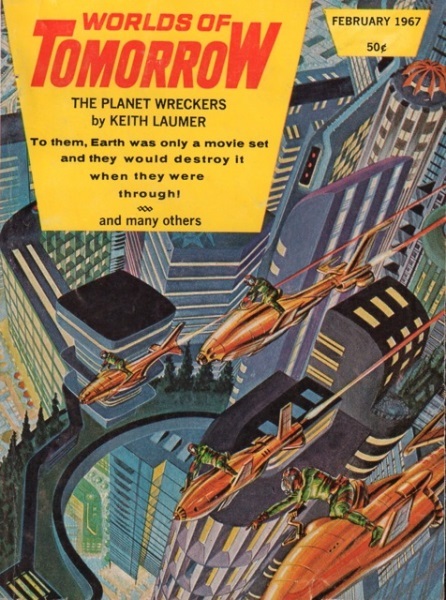 I’ve never read this novel, mainly because the plot doesn’t appeal to me, but I’ve heard it is well written. This novel was possibly the turning point in the maturity of Silverberg as a writer, and his output for the next several years included some absolute classics (to name a few: Nightwings (1969), Son of Man (1971), A Time of Changes (1971), and Dying Inside (1972)). Thorns is the story of an unscrupulous, extraordinarily obese man who manipulates two psychologically damaged people into falling in love — and inevitably, emotionally, disastrously, they split up — as entertainment for the masses (i.e. : reality TV at its evil worst). Lord of Light, by Roger Zelazny, which won the Hugo Award. The original crew of a space ship that landed on a planet rule the descendants of the ship’s passengers by using advanced technology to imitate the powers of Hindu gods. There is infighting amongst the ‘gods’ and a rebellion is launched by one of the original crewmembers. There are also life forms of pure energy that inhabited the planet before the arrival of the spaceship. I didn’t care for the novel and I felt no emotional attachment to any of the characters, but it is considered a sterling classic and is much beloved. 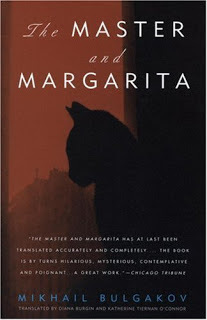 The Master and Margarita, by Mikhail Bulgakov. First published in 1967, The Master and Margarita was written between 1928 and 1940. According to notes in the edition I read, Bulgakov revised the novel until he was too ill to continue. The novel covers a great deal of ground and consists of too many layers to fully analyze in a quick review, but the main thrust is a satire of the Soviet system and literati, and it is unabashed in its depiction of Jesus Christ, Pontius Pilate, and Satan. There are two threads to the novel; one thread is set in Moscow at the time the book was written and is a retelling of the Faust story, and the other thread is set in ancient Jerusalem and is a retelling of the story of Pontius Pilate. The sections in Moscow incorporate a few main characters and a wide assortment of minor characters, and the sections in the Pontius Pilate thread focus on a handful of characters. 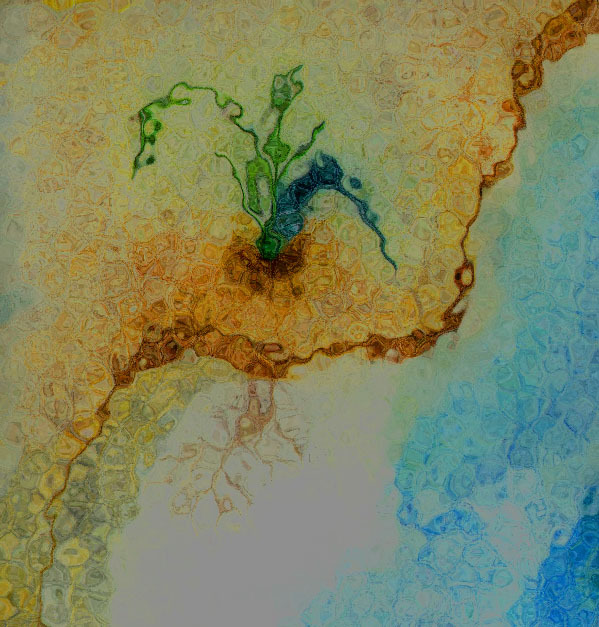 The two threads eventually unite at the end of the novel. A dark comedy occurs in the Moscow sections as many characters ‘disappear.’ These characters have been taken by the secret police, but Bulgakov obscures the fact, and he paints a mood of humorous paranoia for the reader. This comedic backdrop ultimately fades into the horror of a life lived under controlled surveillance, and the stark realism of a claustrophobic, paranoid life lived within the Soviet police-state is shown to be at least as menacing as the devil and his retinue that Bulgakov creates. It is not a perfect novel — the story becomes scattered, with some lucidity issues at certain points — but it is considered by many to be a classic work of Russian literature, and possibly one of the most important novels of the 20th century; big boots to fill, but it is a marvelous novel.